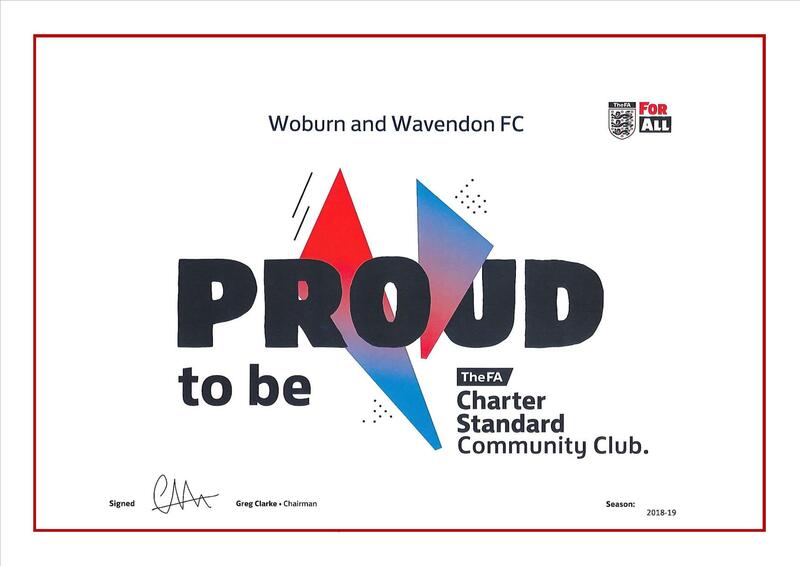 Woburn & Wavendon Football Club » COMMUNITY CLUB STATUS ACHIEVED!! Some excellent news for your Club…. Woburn & Wavendon FC is now officially recognised by the FA as “among the country’s best”. We have attained FA Charter Standard COMMUNITY CLUB status, the highest level of accreditation achievable. This certifies that your Club upholds the highest values that appeal to players, coaches, officials and supporters, and demonstrates to our community that WWFC offers a place where anyone can enjoy football in a safe and well organised manner. It also places your Club at the forefront of significant national involvement and investment as we strive to both sustain and develop WWFC whilst delivering a framework for future community integration and participation. None of this would be possible without the energy and expertise from the WWFC Committee and the huge commitment from all managers, coaches, volunteers and players. Also a huge thank you to our commercial partners and the support we receive from Parish/District Councils and our County FA. Our community is developing and changing fast. We’re ready to play an important part in delivering healthy and inspired communities for the future.